Hotel Heiwa Inn is popular due to its convenient location as it is located very close to a number of important landmarks. 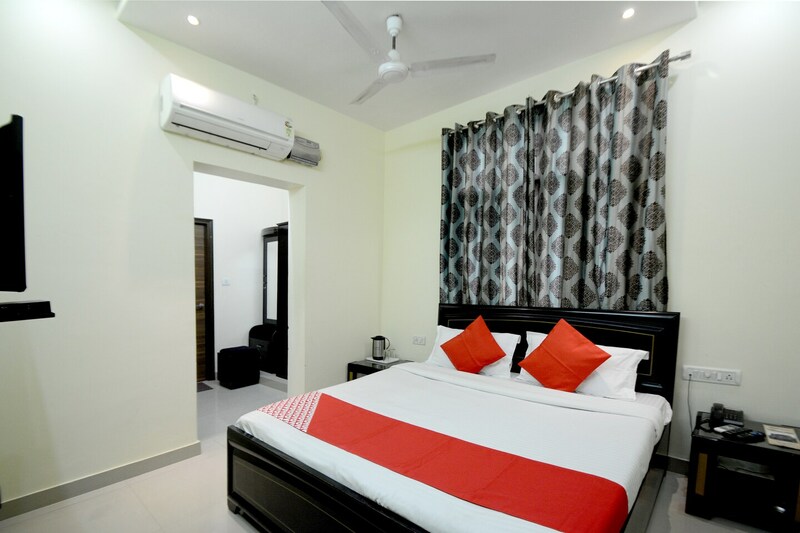 The rooms are very spacious and decorated elegantly. The walls have been painted in neutral colors and create a homey ambiance. The windows in the room are really big and allow the guests to enjoy bright sunlight and some amazing views. The curtains used to cover the windows have beautiful patterns and are very long. The additional features provided by the hotel are free Wi-Fi, an uninterrupted power backup supply, card payment in all forms and CCTV cameras. The front desk service is located near the entrance and is handled by experienced staff who cater to the needs of the guests.